‘Sydney to Hobart’ Sailing Yacht LUPA OF LONDON for charter in NEW ZEALAND – Superyachts News, Luxury Yachts, Charter & Yachts for Sale. 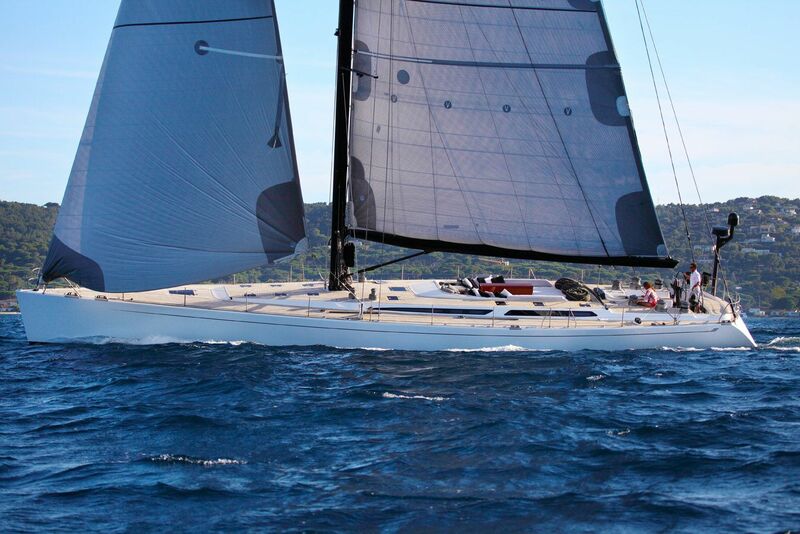 Following her highly-anticipated participation in the Rolex Sydney to Hobart Yacht Race in 2015/2016, the Baltic 78 sailing yacht LUPA OF LONDON will be available for New Zealand yacht charters. She is an excellent choice to cruise around New Zealand’s Bay of Islands and Auckland, offering not only great performance but also fantastic interior/exterior spaces and outstanding crew. Constructed in 2000 by Baltic Yachts to a design by Reichel/Pugh, LUPA OF LONDON superyacht represents a performance sailing yacht with an easily driven hull, potent sail configuration and canting keel. She is an ideal choice for avid sailors. Performance charter yacht LUPA OF LONDON is a sloop rigged, carrying an impressive 338m2 of sail upwind and features 666m2 sail area downwind. She is fitted with one Yanmar 170hp engine, able to reach a speed of 9-10 knots under engine power. Her hull is pre-preganted epoxy carbon fiber over a Nomex core, creating a light and responsive sailing yacht. She is a fabulous yacht for speed thanks to her hydraulic canting keel, which greatly increases her upwind performance. LUPA OF LONDON has participated in many races around the world creating an incredible portfolio. She has received the line honours and a 1st place in IRC Overall at the first RORC Transatlantic Race in 2014 after 3037 nautical miles. Inviting contemporary décor by R&J creates a pleasant on board atmosphere below deck, with an open-plan saloon offering a large settee, a sofa and a formal dining table. The flooring in teak and holy are nicely combined with wood panelling and crisp white soft furnishings. Plenty of natural light penetrates the interior thanks to side ports and overhead hatches. Accommodation layout incorporates three large cabins with a comfortable saloon for up to six charter guests. There is a separate galley for a creation of sumptuous meals to be served on your charter vacation. On deck the exceptional spaces continue …There are two cockpits. The guest cockpit accommodates a large table seating all guests for al fresco dining. Aft, guests will find the dual helm cockpit, where all the extraordinary sailing action takes place. Luxury yacht LUPA OF LONDON has fantastic teak decks with flush hatches, perfect for both performance sailing as well as relaxing. For additional fun on board, the transom features a spacious fold out beach platform offering easy access to water. There is a good selection of water toys on board LUPA OF LONDON, including equipment for kite surfing. Sailing yacht LUPA OF LONDON is a great choice when it comes to sailing the breath-taking northern coast of New Zealand. She is available for charter from Auckland to the Bay of Islands, with made-to-measure itineraries and impeccable service on board. A great place to embark on your charter vacation, Auckland offers great sailing grounds as well as plenty of various activities to incorporate into your New Zealand holiday. From hiking trails, beautiful beaches right through to fine dining restaurants, world-class cuisine and shopping there is something for everyone to enjoy. An Auckland experience would not be complete without a cruise to the Waiheke Island which offers stunning beaches and native forest reserves harmonising delightfully with cafes, vineyards and art studios. While on the island you can spend the day wine-tasting, shopping or simply relaxing and enjoying some in-water fun. Almost anything is possible on Waiheke, from horse-riding and farm tours to sea-kayaking and mountainy-biking. Enjoy a day on the Rangitoto Island, created around 600 year ago. You could either take a train to the top of the island or walk up 260 metres to the summit, to view the spectacular 360° panorama of the Hauraki Gulf and Auckland. Rangitoto also boasts lava caves, Pohutukawa forests and beautiful rock formations. Your charter vacation in New Zealand could incorporate the Great Barrier Island located in the Hauraki Gulf. It is renowned for its unspoiled beaches, native bushland and a large number of unique plant and bird species. Copper mines, Maori pa sites and scenic tracks to beaches are amongst the attractions on the island. Bay of Islands is a heaven for sailors and visitors holidaying aboard luxury super yachts. The icon of North Island is a maritime playground for swimming, boating, fishing, snorkelling, diving or simply relaxing. The Bay of Island maritime park is composed of 144 islands, secluded bays, untouched coastline and natural harbours. The rich sea life includes such species as marlin, kingfish, seals or dolphins. When planning your next New Zealand yacht vacation, ensure to choose a broker that has access to all the yachts… Select an impartial one, that works for you personally and has your best interests at heart – like CharterWorld. We are the largest professional broker specialising in luxury yacht charters and our dedication is demonstrated by our customers’ testimonials.